They……….. Who Are These “People”? Since I can remember, “They” have been in most conversations. When folks are conversing, “They” usually becomes part of the conversation, i.e………. I’ve decided to find out who these people are, called “They”. It may take the rest of my life, but I will succeed! I’ve never seen them nor met, but “They” must exist, otherwise how is it that everyone seems to know them? Join me in my quest. Let me know if you find them and who “They” really are. Repost this Blog to spread the word! Together, We Will Succeed !!!!!!!!!!!!!!! 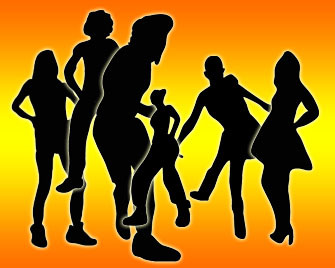 Posted: May 29, 2012 in Are You Kidding? First Lady Michelle Obama has officially sponsored the first Navy submarine to be crewed by all females, the White House said Monday. The USS Illinois, more commonly known as the USS PMS, will be the first submarine crewed only by women, no Seamen. The USS Illinois is expected to join the fleet late due to decor concerns. I’m actually grossed out with this one (very unusual for me). 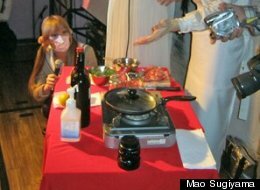 Mao Sugiyama, a self-described “asexual” from Tokyo, cooked up, seasoned and served his own genitalia to five diners at a swanky banquet in Japan last month. On April 13, five of six diners who signed up for the $250-a-plate feast, sat down to dinner. 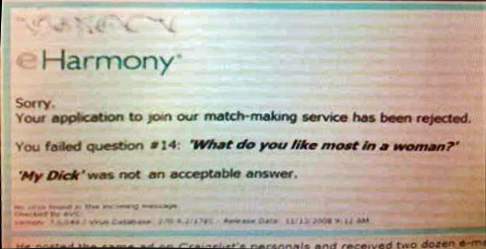 The sixth person was a no-show. Can’t figure why? There are photos, but even I won’t post! Thief Wears Incriminating Evidence To Trial !!!!!! I’ve heard about so many STUPID criminals that it’s hard to pick one. This one is classic. 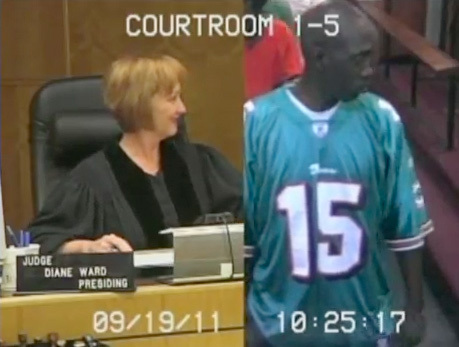 Guy steals Dolphins jersey and wears it to trial !!!!!! Louise and Martine Fokkens are identical twins. For over 40 years they were working as prostitutes. They freed themselves from the control of their pimps, ran their own brothel, and set up the first informal trade union for prostitutes. They are familiar faces in Amsterdam’s Red Light District, but soon they will bid their farewells. Quit While You’re On Top! 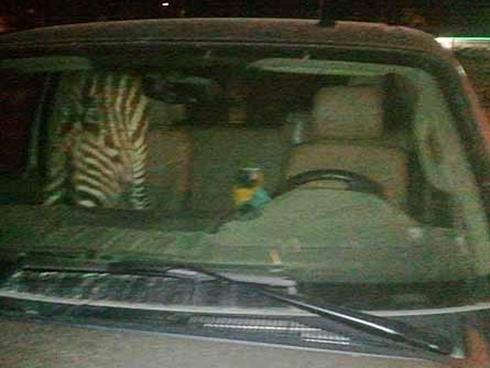 Iowa Man Arrested For DUI With A Zebra and Parrot As Passengers !!!!!!! This is just too rich. 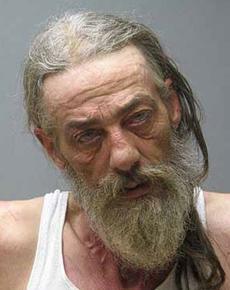 It’s like the beginning of a bad joke, but…… Jerald Reiter, 55, of Cascade, Iowa, was backing his truck out of the Dog House Lounge parking lot Sunday night when police stopped him. His passengers? A small zebra in the back seat and a macaw parrot on his shoulder, the Telegraph Herald reports. He looks like a regular guy! So, what’s the problem?